TREMEC strives to have open lines of communication between its distributors who sell our motorsport and aftermarket products and the TREMEC team who designs and builds them. To that end, we recently hosted the 2017 Elite Distributor Summit. 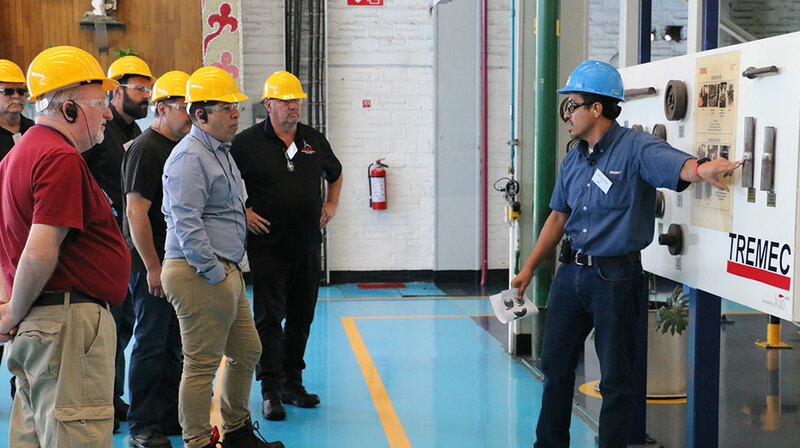 We brought distributor reps to our facility so that they could spend time with the TREMEC employees and to see our vertically integrated manufacturing process– where raw materials come in one door, and final product goes out the other. 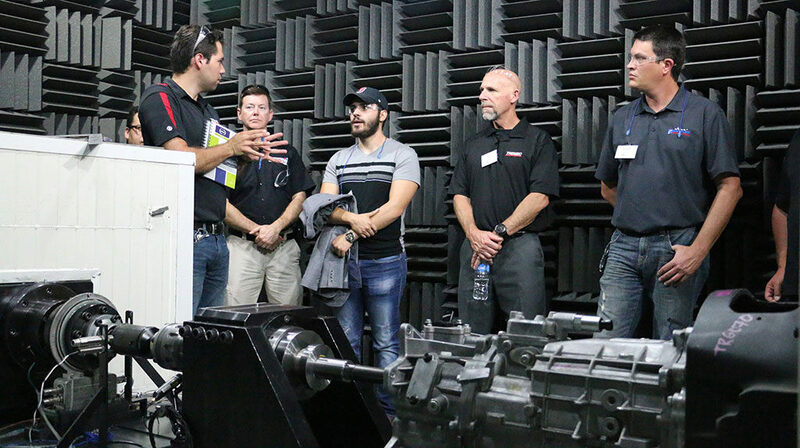 A plant tour allowed the distributors to follow one transmission’s entire manufacturing process. They were able to see the extensive manufacturing capabilities at the production facility, including forging presses, heat treating systems, CNC machining, gear manufacturing, precision laser welding and other precision processes. Distributors were also shown how finished products get sorted, cataloged and stored through inventory control prior to being shipped out. They also experienced the inspection and testing TREMEC does to ensure there are no defects. That’s part of the stringent quality control the company maintains to be ISO/TS 16949:2009 and ISO 14001:2004 certified, some of the highest quality standards in the overall manufacturing industry. Watching the quality-control process provided the distributors with more information to share with their techs back at home, which could then be applied to interactions with customers who have technical questions or troubleshooting issues. For many distributors, this was their first time ever seeing a TREMEC transmission being produced. Starting with raw steel and castings, numerous operations are employed to manufacture a complete transmission. 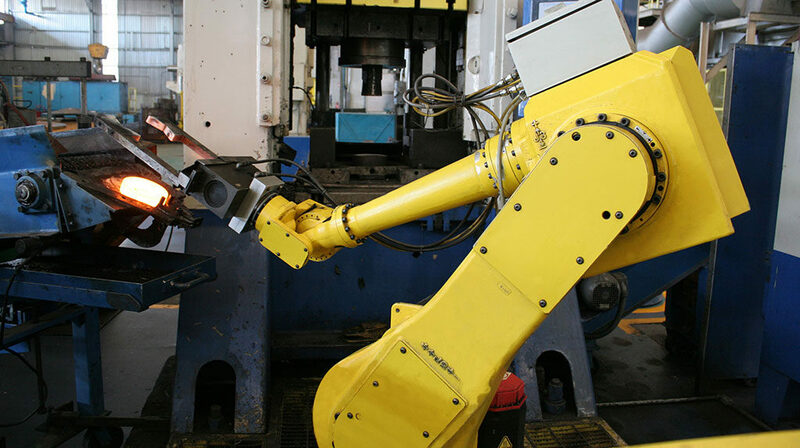 Some of the processes include: forging, machining, heat treating, induction hardening, laser welding, grinding and a myriad of testing procedures. For many distributors, it was the first time they had ever seen the production process for a manual transmission. Experiencing it firsthand gave them a better understanding of what takes place before our transmissions arrive in their warehouses, and why the order process and scheduling has the time factor that it does. This also provided insight in to how they could refine the ordering process for more efficiency. Seeing testing as part of the quality control process gave distributors valuable insight that could be passed on to their own tech specialists. It also demonstrated how TREMEC works to ensure that every transmission produced is ready for installation. 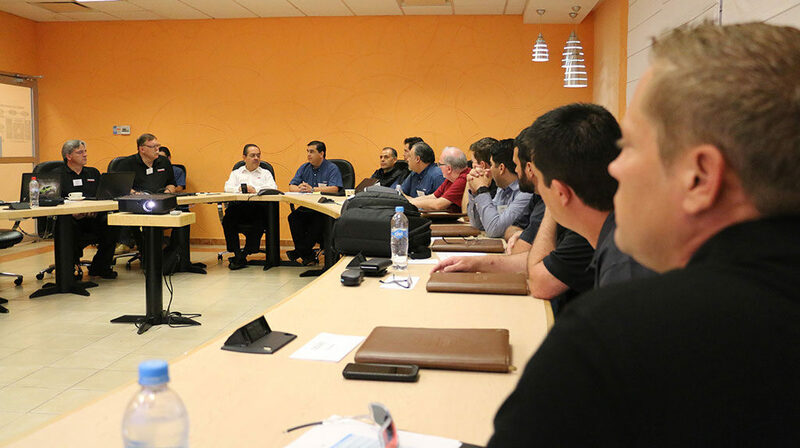 Distributors had a chance to ask questions and discuss a variety of topics with TREMEC’s CEO and CFO. Topics included ways to better educate distributors on products and technical support, and ways to decrease the time between when a customer places an order and delivery. During the summit, distributors had opportunities to talk directly with our designers and engineers. This dialogue opened up a two-way avenue of communication, giving engineers real-world feedback and examples of the products in use. It also provided the design group with more knowledge on which to base future transmission designs. Another objective of the Elite Distributor Summit was to show distributors that TREMEC is about much more than transmissions. It’s part of a $2 billion conglomerate, Grupo KUO, that is engaged in the manufacture and sale of consumer products, chemical products and auto parts. There are hundreds of Authorized Resellers around the globe to source your TREMEC motorsports and aftermarket products. TREMEC Elite Distributors take the transmission swap to the next level. This select group of experts have years of experience in providing the right transmission kit for your project – whether it’s custom or replacement – in a one-stop package that is made specifically for your application. Sure would be nice if you could share more with the general public. For example, how many DCT 7-speed units is Ford likely to order for the 2019 GT500?